The debate since 2010 over allowing dispensaries in San Leandro has evolved from near prohibition to now partial acceptance by the city council. In September, the council approved a similar draft ordinance allowing permits for two dispensaries in the city’s industrial areas along with a 7 p.m. curfew. However, the addition of a potential ballot measure to tax medical cannabis — possibly in November 2014 — is a new wrinkle making the likelihood of dispensaries in San Leandro less than a certainty. San Leandro City Attorney Richard Pio Roda, in a staff report, said it was the council’s “clear legislative intent” to tax a percentage of medical cannabis gross sales. To get a piece of the action, San Leandro voters would have to approve such a measure. “No dispensary, in effect, may open in the City until after November 2014,” said Pio Roda. The ability to tax medical cannabis sales is similar to what voters in Oakland approved in 2010. In fact, most of the San Leandro’s draft ordinance is borrowed heavily from Oakland. 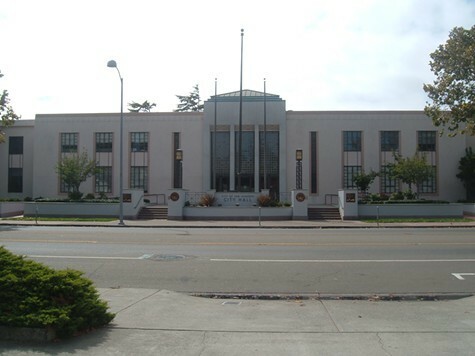 In addition to the allowing two permitted dispensaries within San Leandro city limits, it also gives discretion to the city manager to tweak hours of operation and prohibit dispensaries within 1,000 feet of schools, libraries, parks, and other dispensaries, and 500 feet from a residential neighborhood. If approved, the city would issue a request for proposals (RFP) on potential dispensaries in February, according to the staff report. Councilmembers Benny Lee and Diana Souza have been the most consistent opponents of medical pot dispensaries. Both believe dispensaries attract crime and promote drug use in young adults. In an email to her supporters last week, Souza said, “If the ballot measure for a special tax fails, no Dispensary will be able to operate in the City. While this is not ideal, it does give some hope and I would support that.” Councilmembers Pauline Cutter and Ursula Reed, a candidate next year for Alameda County superintendent of schools, have stayed on the fence, but could be enticed by the lure of tax revenues, based on previous statements. And when it comes to San Leandro, the legality of medical cannabis has never been closer to reality.